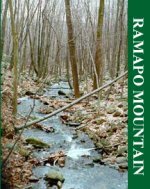 Unauthorized and illegal trail features have been identified within Ramapo Mountain State Park. 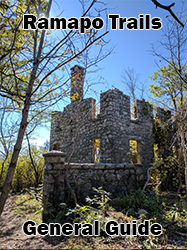 Ringwood State Park Staff are in the process of removing features determined to be on State Park Service Property. All trail projects must be coordinated with the Ringwood State Park Office. Unauthorized trail work is considered natural resource damage and investigated by the New Jersey State Park Police. The parking area and trail access point located on Barbara Drive within Town of Pompton Lakes has been closed by the property owner. Trail users are no longer able to access the South Ridge or Cannonball Trails from this area. Visitors are encouraged to utilize the parking area on Pool Hollow Road or either of the established parking areas on Skyline Drive. For more information please contact the Ringwood State Park Office at (973) 962-7031. This natural area offers spectacular views from numerous rock outcroppings and ledges and rewards those who accept the challenge of the winding hiking trails and rocky terrain that comprise most of the site. A 120-acre clearwater mountain lake provides an excellent spot for fishing and birdwatching. There is no swimming permitted in this lake. The area is open every day from 8 am to 8 pm. An system of marked hiking and multi use trails are available for the public to explore. These trails offer visitors opportunities to hike interior woodlands and rocky vistas. The multi use trails are suitable for hiking, mountain biking, and cross country skiing. Please obey all designated uses of the trails, posted at the trail heads and trail crossings. Please note that trail difficulty ratings are opinion only. 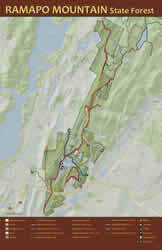 All trail mileages represent only the portion of the trail that goes through Ramapo Mountain State Forest, and complete trail lengths could be longer, therefore a topgraphical trail map is recommended for navigation of the trails. Maps may be purchased in the Ringwood State Park office (973-962-7031) or through the New York - New Jersey Trail Conference.